At the Kettles Law Firm, we discover the cause of aircraft crashes –from complex in-flight mechanical failures to design-induced pilot errors – and hold the responsible parties fully accountable. 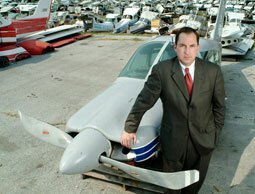 This requires a law firm with experience in aviation and in handling aviation cases. The Kettles Law Firm has both: Real experience. Real results. Our team works closely with men and women who have been involved in airplane or helicopter accidents, in addition to those who have lost loved ones in fatal aviation accidents. As your helicopter accident litigation attorney, we work hard to ensure that the negligent party is held accountable and that you receive the compensation that you deserve.